The Federal Budget has ignored the plight of the most disadvantaged Australians by failing to increase welfare benefits or tackle the nation’s homelessness crisis. Anglicare Victoria chief executive officer Paul McDonald said the Federal Government had overlooked the needs of the most disadvantaged, preferring to provide tax cuts over boosting the social safety net. “The Federal Government has been asleep at the wheel on housing and welfare and this Budget sees the policy inertia in these two vital areas continue,’’ he said. “The Government is handing out $140 billion in tax cuts over 10 years but the lowest income Australians, struggling to survive on Newstart or Youth Allowance, will get no relief and continue to be trapped in a cycle of poverty. “While 10 million people get up to $10 extra in their pocket each week, people living on little as $38.98 a day will get nothing. “The Budget also offers no solution to putting a roof over the head of to the more than 116,000 Australians experiencing homelessness and low income Australians suffering severe rental stress. Mr McDonald said it was also a great concern that the Government had earmarked a further $300 million in savings from a welfare data matching and debt recovery system, given its poor track record with ‘robo-debt’. 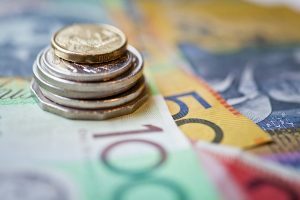 Plans to allow state governments to deduct unpaid fines from welfare payments could also push people into further hardship. “Australia’s social safety net is stretched to the limit and this budget offers no relief,’’ he said.